Unload an entire container of bagged goods in just minutes! ROLLERFORKS® provide a quick and easy way for manufacturers of bagged goods such as powdered milk, flour, chemicals etc. to load and unload containers or trailers. They provide a welcomed alternative to double-wide hydraulic push-pull type attachments which are costly, cumbersome and expensive to maintain. 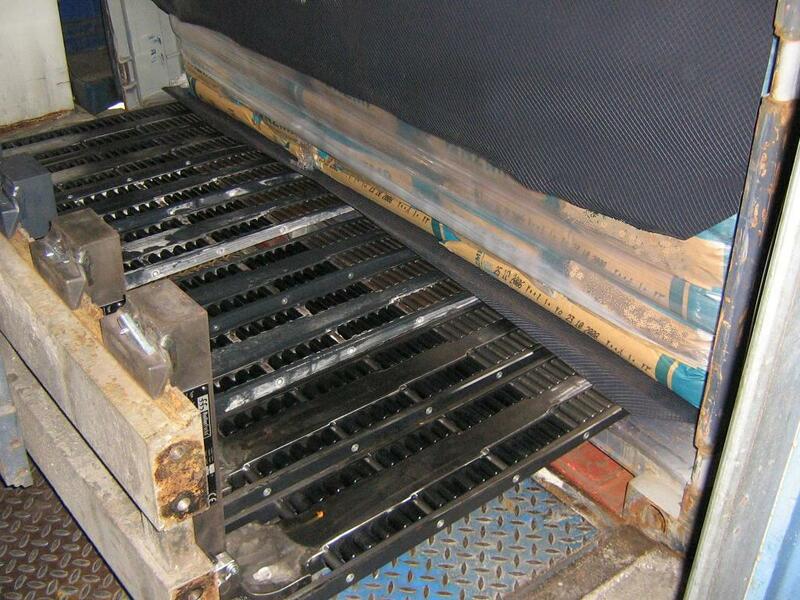 By using multiple sets of ROLLERFORKS® set side-by-side on a simple wide fork carriage, a single lift truck operator can handle as many as 4 “ pallets” worth of goods at once! Combine this with the cost-saving benefits of pallet-less shipping (maximum cube utilization, reduced weight, elimination of pallet costs, etc. ), and companies can drastically reduce their operational costs in order to gain a leading edge against competitors. 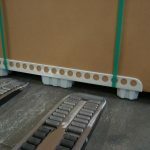 Of course ROLLERFORKS® can also be used for handling individual pallet–less loads such as slip-sheeted goods, cartons, FIBC bags, tires, mattresses, appliances and more.